Wildlife organisations, river and environmental groups and community associations have this week announced plans for a second, bigger TideFest to be held on the Tidal Thames in London on September 20th. TideFest is a new River Thames event which took place for the first time last year on World Rivers Day to highlight the recreational importance of the Thames to Londoners. 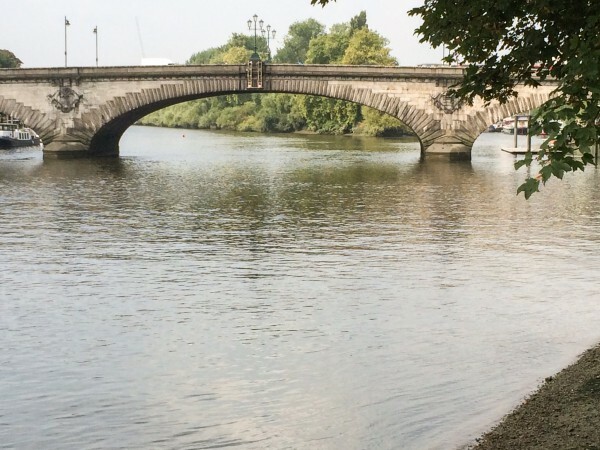 TideFest 2015 takes place at Strand on the Green, Chiswick and at other locations along the Thames Tideway. 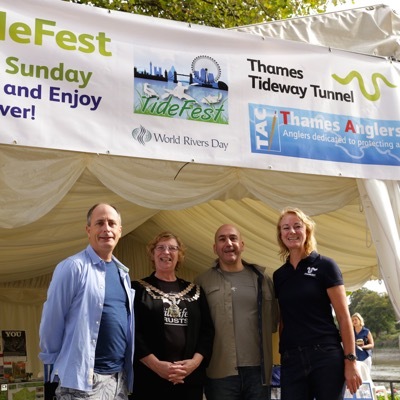 TideFest is proud to be a partner of Totally Thames and to be supported by the Thames Tunnel Now Coalition, Thames Tideway Tunnel and Thames Water. Stand Up Paddleboarding. Organised by Active 360 with pre-booked sessions from 11am for those new to paddleboarding, an Eco tour from Kew to Hammersmith and an evening river tour to Richmond. There will be a race at Strand on the Green at 4.30pm. Kayak Taster Sessions by Edge Paddling where newcomers can simply turn up from 11am and try kayaking with qualified coaches. A day out at Thames Water’s Kempton Nature Reserve – an internationally important wetland habitat with great bird life. From 10am to 5pm visitors will be able explore these urban wetlands of London through interactive activities for children, aquatic habitat species surveys and guided birdwatching walks. A whole range of community activities and displays will be available at the Strand on the Green. The marquees on the riverside embankment will host displays on the Thames Tideway, historical artefacts collected by local archivists, painting by local artists, children’s activities and an information point with material available from environmental and wildlife groups and the Port of London Authority. The charity Get Hooked on Fishing will be holding a series of fun, angling related activities on the foreshore aimed at children and newcomers to the sport from 10am to 4pm. The prestigious Thames Tideway Angling Championship takes place from 9.30am to 2.30pm at Strand on the Green and Barnes. 50 top anglers from across the UK will be taking part and spectators are welcome. On the Foreshore there will be children’s activities including river dipping, water testing and games designed to explain and increase understanding of what’s going on in the river run by the environmental charity Thames21. A series of highly informative Archaeological Walks and tour of Oliver’s Island will be held in the afternoon from 12 noon onwards at Strand on the Green. At 6pm the SoTG Sailing Club hold their annual TideFest Challenge Trophy competition. Spectators welcome. Thanks to the generous sponsorship from Tideway Tunnels and Thames Water all the activities are either free or offered at a substantially reduced rate. Check website or Facebook page at https://thamestidefest.net/ or http://www.facebook.com/thamestidefest for details where advanced booking is required. TideFest is a new river Thames event which took place for the first time last year on World Rivers Day to highlight and celebrate the recreational importance of the Thames Tideway to Londoners. TideFest 2015 is taking place on September 20th at Strand on the Green, Chiswick and at other locations along the Thames tideway. TideFest is proud to be a partner of Totally Thames and to be supported by the Thames Tunnel Now Coalition and the Thames Tideway Tunnel.